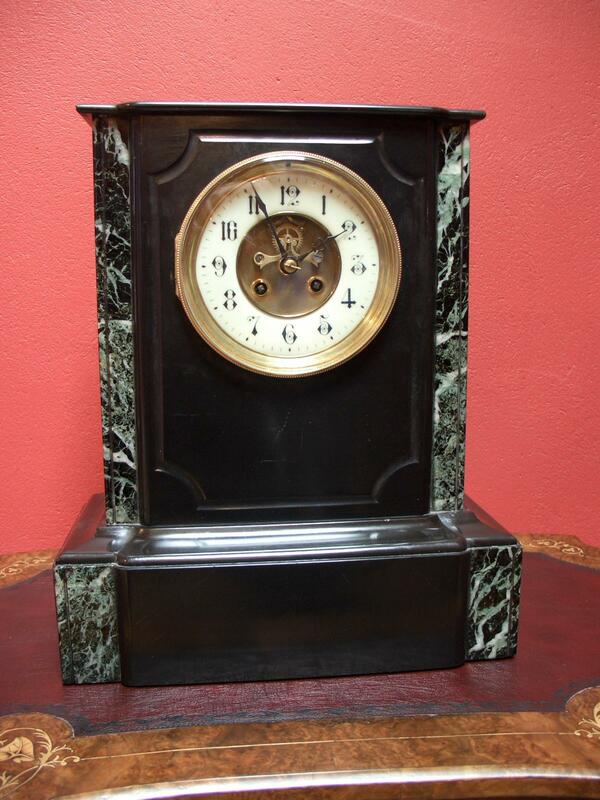 Black slate and green and white veined marble clock made by Japy-Freres with Brocot escapement from the late Victorian period. 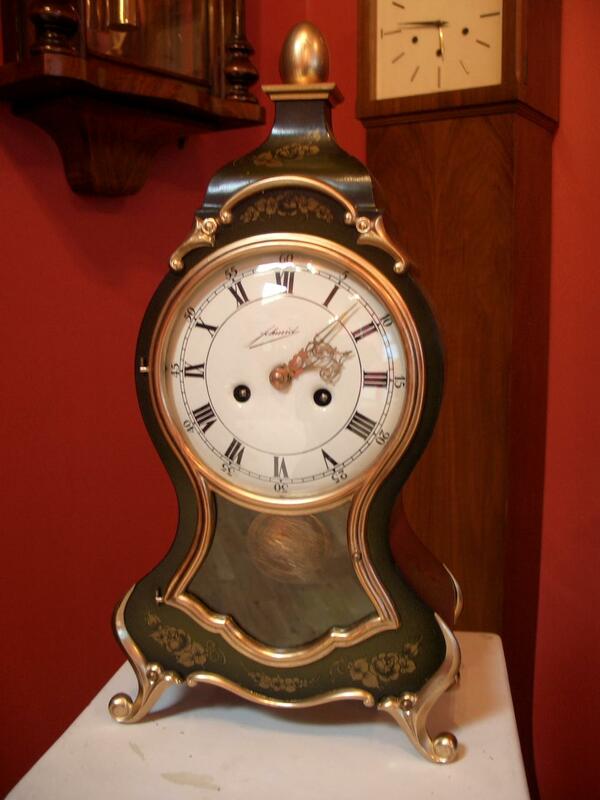 The clock has an 8 day French movement striking on a spiral gong on the hour and half hour. Fully restored with one years guarantee.